Kevin: Media mix strategies have plagued anime for a long time. The idea to start franchises with immediate presence in different mediums with the hope of cross-promotion is old news, and definitely hasn’t proved to be an incentive for artistic creativity – if anything, it’s the opposite. 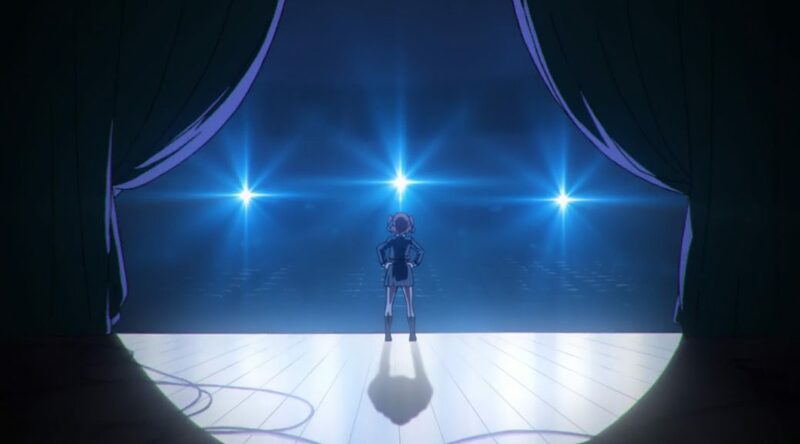 That said, Revue Starlight is a curious case, since its main platforms are this upcoming anime and a musical that premiered last year; not so much of a random choice when you consider that it revolves around stage performances to begin with. That fairly interesting idea becomes an incredibly enticing prospect when you consider that helming the anime project we have Tomohiro Furukawa, Kunihiko Ikuhara’s greatest ally in modern times. Furukawa learned the ropes during Penguindrum, and by the end of the project he was already co-storyboarding every episode. Talk about fast growth! He followed Ikuhara in his scarce anime appearances while keeping a career of his own, so when time came to produce Yurikuma Arashi, he’d already matured so much that he was entrusted with assistant series direction duties, personally handling iconic moments alongside his mentor. Despite having a strong personality of his own, Furukawa’s relationship with Ikuhara was so tight that he absorbed many of his aesthetic flourishes and the general idea of literally staging anime. So what would be the best project to have him debut as project leader? An actual stage play series with a princely aesthetic, of course. This is such a match made in heaven that I keep wondering if it’s not a very elaborate prank. Although Furukawa’s skill and the seemingly perfect synergy with the material are the number one reason to be excited, he’s not alone in this venture. Animation fans might have heard of Takushi Koide as studio Kinema Citrus’ greatest hope on an animation level, as he proved during the most exciting confrontations of Scorching Ping Pong Girls. His name was immediately linked to this project, but no one could have expected that on top of animation and design duties, he would also be entrusted with assistant series direction – following a similar path to Furukawa, perhaps! He won’t be alone in celebrating his promotion either, since Studio Pablo’s Kenji Fukuda will be making his debut as art director as well, though with the help of their studio leader Kentaro Akiyama. While the teasers don’t showcase all that much from their background work, there are already some glimpses of what should be a nicely realized world. Truth to be told, that’s perhaps the one reason to be a bit wary of the project: we haven’t seen that much of it. Most of the footage still comes from the teaser for the project as a whole they unveiled ages ago, as ever since then they’ve been very stingy when it comes to sharing actually new material. Now this doesn’t mean they’re trying to compensate for a poor schedule – we can tell you for a fact that people have been working on this for quite a while – but it would be wise not to expect the whole series to look like Koide’s fancy animation. Whenever it does though, we’ll be over here salivating. As a closing note: if the idea of a rising director with links to Ikuhara, an also exciting assistant, plus a renowned art crew sounds familiar, then you still remember that last season’s TadaKoi promised more than it was able to deliver in the end. While not a bad series, it failed to live up to its potential for sure. 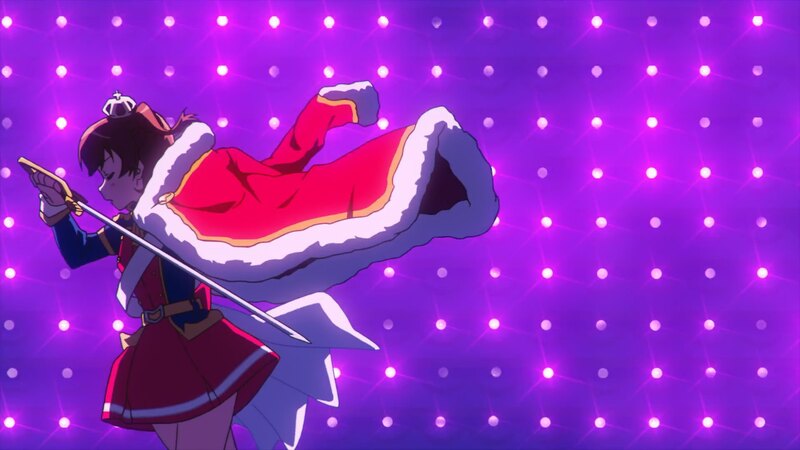 For better or for worse, Revue Starlight is on paper a much more promising prospect with an amusingly similar situation. Whether it can turn those aspirations into a reality is still left to be seen, but it seems by all means worth betting on. And if it does succeed, you can rest assured that we’ll be covering it in this site. Kevin: Though it’s quite the claim, I feel like it’s not an exaggeration to say that Sword of the Stranger is the best action anime, at the very least among those that lean towards realism. It distills its conflict down to its essence in a very graceful way, and the fighting choreography is still unmatched. To this day many fans still wish for Yutaka Nakamura to return to the style he showcased in that movie, a personal favorite of his as well. Director Masahiro Ando has since then given a spin to other genres with fairly satisfactory results, but there’s always a special excitement when he gets to helm a new action anime… or at least there was until recently, since he’s been getting typecast for what I would call the Under the Dog genre of anime; premises that look like the embodiment of the idea that anime hasn’t been good since a vague vision of the 80s, kinda convoluted setups that make me miss the elegance of Stranger. But while that tempers expectations to a degree, it’s far from enough to make us write off this show. As seen in the thrilling promotional videos, Sirius the Jaeger is promising to offer theatrical level action. Can it live up to that? Ando’s presence ensures that conceptually it’ll be able to, and the crew he’s surrounding himself with should make it possible to properly execute that. P.A. Works doesn’t have a robust lineup of in-house animators to support a project like this in the long run, which is why Ando always makes sure to call in his strongest freelance allies. Pirouette master Masahiro Sato, a long time companion of his, will be supervising the action throughout the show and no doubt contributing to its animation. And beyond sakuga stars, some sweet surprises like the presence of concept artist Shiho Takeuchi are a good reason to also expect the setting to be well-realized. Sure, this appears to be a silly vampire hunting series, but it’s got the right ingredients to be a damn impressive one! Kevin: Banana Fish is undeniably a passion project. A cult classic from the 80s that would under no normal circumstances be granted an adaptation in 2018, since despite the fondness that its fans remembered it with, it wasn’t popular enough to justify a new project. But Aniplex producer Kyouko Uryuu is as obstinate as they come, who’d been pitching the idea to turn her favorite manga into an anime ever since she joined the company. That dream became more feasible years later after she moved to the production department and began getting trusted as a producer. She eventually approached director Hiroko Utsumi, who with her work on Free! had convinced her she could nail the relationship at the core of Banana Fish. MAPPA gladly offered them a space, and they’ve since then assembled quite the impressive crew; Akemi Hayashi could already be crowned as queen of boy’s love design after her work on Doukyuusei, and art director Toshiharu Mizutani has been on fire as of late, as seen on titles as diverse as YURI on ICE!!! and Children of the Whales. What’s not to like? Some things, admittedly. Utsumi’s greatest strengths come from her boldness, which is what took her to be the most attractive storyboarder in Kyoto Animation’s Osaka branch in the first place, but so do her weaknesses. Amusing and sometimes touching as it is, the Free! franchise is the product of her meddling, and Yasuhiro Takemoto’s transformative but more respectful take on the original High Speed! put every one of her decisions into question. This time around she’ll also be making massive changes to suit her preferences, most noticeably with the decision to relocate the narrative in the modern era. While changes were required since there’s no way to properly fit 19 dense volumes into 22 episodes, this tale is so deeply rooted in its Vietnam War era setting that carelessly changing that could be heavily detrimental. Devilman crybaby recently showed just how well that process can be done, but we’ll have to see how this renewed Banana Fish will fare. What’s also a bit of an enigma is how Hayashi’s design work will be treated; though it survived Utsumi’s instructions well enough, Hayashi unfortunately won’t be sticking around to supervise the animation. Instead we’ll be seeing a team specialized in maintaining as much stability as possible under troublesome circumstances acting as chief animation directors, featuring the likes of ex-Attack on Titan regular Ayumi Yamada. The late inclusion of Tomohiro Kishi to the team indicates they’re struggling even more than expected to maintain the polish, so MAPPA’s worries that they won’t be able to live up to the conditions Utsumi is used to don’t seem unfounded. 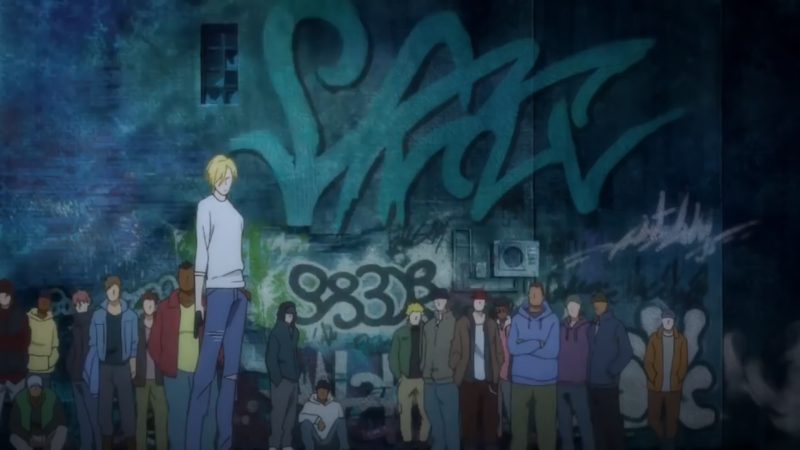 Banana Fish is an equal parts exciting and dangerous prospect. Ryan: At this point YamaSusu needs no introduction, but it’s no secret that we’ll miss no chance to gush about its team. While director Yusuke Yamamoto may not be hugely popular among fans, his ability to grasp the core of the very different works he’s been entrusted with and make draw out the best of them has won me over. Even more so after something so questionable as Knight’s & Magic turned out to be one of the most pleasant personal surprises of last year! It’s in no small part of his that YamaSusu is able to reach critical levels of comfiness while also weaving in some touching character moments. He’s always made an effort to weave in his fondness of photography and hiking into this series as well, giving it that tangible sense of reality without discarding the fun cartoon nonsense. Yamamoto is admittedly not the one to bring the special aesthetic flair – for that role there’s other people, like character designer and chief animation director Yusuke “Fugo” Matsuo. His charming, ever-evolving designs provide the series with a unique charm all on their own, and his solo animated first half of the Omoide Present OVA is the perfect reminder of his ability to breathe life into the characters he’s working with. YamaSusu stands as one of his greatest accomplishments, since it’s gathered multiple generations of young animators who hold him as their number one goal. And that takes us to the next point, because the crew of fugo followers gains more importance in this production with each iteration. Kazuaki Shimada is already a key figure, the likes of Noriyuki Imaoka and China (ちな) have been penning increasingly more important moments, and with the third season we’ll be seeing even younger people stepping up to the plate. One of this project’s greatest strengths has always been gathering talent from all over the place however, so even though the core group of animators is very tightly knit, there’s still space for outrageous guests. This season we’ll be seeing ex-SHAFT ace Ryo Imamura making regular appearances, as well as rising stars kerorira and miyachi among many others. A hotpot of animators like this could lead to the aesthetic being all over the place… which they’re actually embracing, since creative freedom has always been valued in this team; Fugo may be credited as chief animation director, but the PVs make it clear that each artist’s work is coming through almost unfiltered, which will prove to be an extra delicious morsel on top of the solo episodes that defined season two. And as if things couldn’t get any better, our own sources have told us that the production has proceeded very smoothly, as they were already distributing cuts for the final episode 2~3 months ago. Time to climb mountains once again. 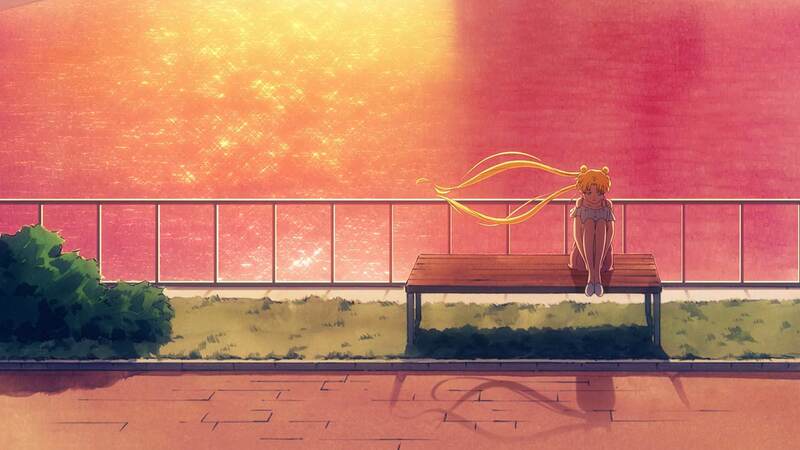 Kevin: It’s quite the amusing coincidence that Hiroko Utsumi’s new series will be airing alongside a new season of the project that made her famous to begin with. Free! won’t surprise anyone at this point, even after changing directors and promoting certain staff – like art director Shingo Kasai, one of the most trusted painters at the studio who will be handling a full series for the first time. Eisaku Kawanami‘s take on this franchise leans more towards the hot-blooded athletics than before, but he’s otherwise sticking to Utsumi’s enduring vision: swimming, unashamedly sentimental male bonds, and muscles. It’s always a shame to see Futoshi Nishiya‘s unappealing sharp designs for Free!, especially when compared to his much softer take on the same cast for High Speed!, but fact stands that he’s still one of the best chief animation directors in the industry. Though staff at Osaka have been slowly working on the series for quite a while, and the studio’s true animation leader Yoshiji Kigami has been entrusted with the effects throughout the show again, the production appears to have gotten the short end of the stick, at least for KyoAni’s exceptional standards. Knowing it hasn’t been allocated all that many resources indicates that they could be focusing on the upcoming Tsurune instead, so don’t expect this to be among their greatest accomplishments on a production level. Kevin: Let’s follow that up with another very simple, sports-themed recommendation. 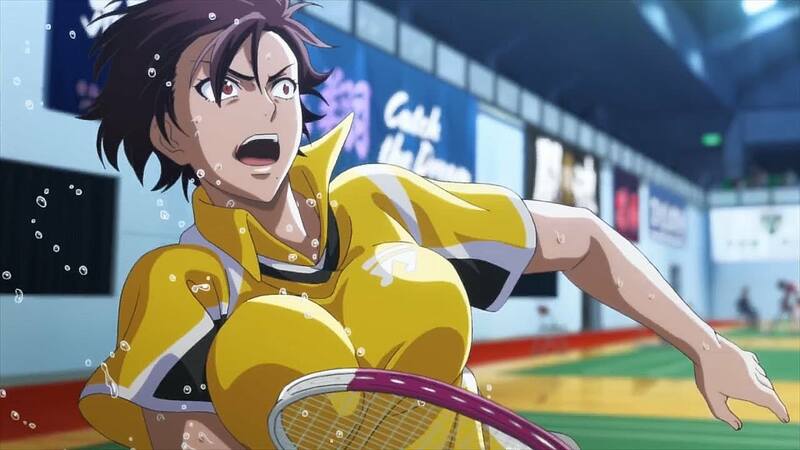 Why does Hanebado! stand out? Because it offers intense, impressively animated badminton matches. That’s it, and that’s enough. The manga is notorious for devolving into ridiculously hot blooded imagery, which the anime staff is trying to match through an ambitious animation effort led by character designer and co-chief animation director Satoshi Kimura. Liden Film’s ace still can’t do miracles so the recent PV already showed an understandable quality dip for the downtime scenes, but it’s nothing worth worrying about for now. As long as the matches remain as strong as hinted, we’re in for an exciting time. You might have noticed that we’ve chosen to highlight less titles than usual. There’s no use beating around the bush: this is looking like a very dry season. The usual stars are either taking a break to prepare projects later down the line or not fully committed to their current work. Beyond these clear highlights some other modest projects do offer some interesting aspects though, so let’s run those down. Though the circumstances aren’t ideal, Planet With is finally granting us the Satoshi Mizukami-penned anime that so many fans kept asking for. He’ll be writing the anime and judging by the companion manga already being published, it might very well be the most unashamedly Mizukami series in existence, so fans of his brand of adventure should by all means check it out. If your action preferences are much grittier though, there’s always the third season of Attack on Titan, which will be making its surprising appearance on NHK-g – not much has changed for its production, since they plan to compensate the departure of some staff members and generally busy crew with the arrival of an important guest director. Fair trade! As far as modest projects with potential because of their staff, Senjyushi: The Thousand Noble Musketeers has caught our eye without a doubt. Mobage adaptations are always a wildcard, but since this one can boast to have borrowed JC Staff’s ace director Kenichi Kasai as well as delightful designer Majiro, its chances to put together something noteworthy are higher than usual. If the previous two sports offerings weren’t enough for you, Harukana Receive will be supported by studio C2C’s increasingly strong animation crew. And as far as action goes, Angels of Death is going to have its eye-catching moments as well. All things considered, not a heavy season by any stretch, but that only makes curating it more important. Though all the staff will be working hard as usual, anime is in a wake taking a nice summer holidays as well. Such a great line…Totally agree.